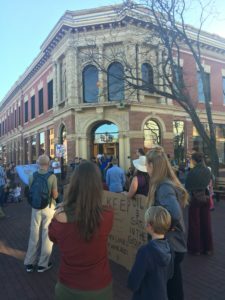 With the campaign to ban fracking in Colorado failing every step of the way, anti-fracking activists have retreated to Boulder, where they descended on a County Commissioners’ hearing to decide whether to extend a current fracking moratorium that was set to expire this Friday. “However, Land Use staffers and the County Attorney’s Office also have recommended that the Board of County Commissioners not extend the current moratorium. 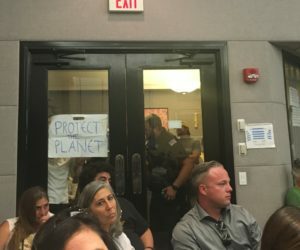 Activists had to repeatedly be asked to remain quiet and audibly booed and hissed at representatives of the oil and natural gas industry despite repeated calls from Commissioner Elise Jones to create a “safe space” for all viewpoints. Meanwhile, a small crowd of activists gathered outside the hearing to hold a “Keep It in The Ground” rally on the Pearl Street Mall, showing that the groups behind the protest are far more interested in permanently banning oil and natural gas development than supporting the temporary moratorium that was the focus of the hearing. The commissioners will take a final vote on the moratorium later this week. But perhaps more importantly, today’s hearing makes clear that Colorado’s core group of professional anti-fracking activists remain committed to driving the industry out of the state, no matter what the law says.